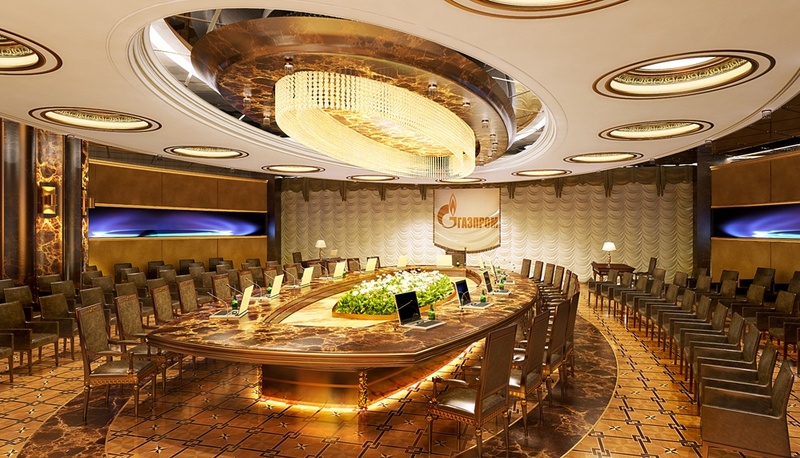 Gazprom's negotiating company in the classical style. 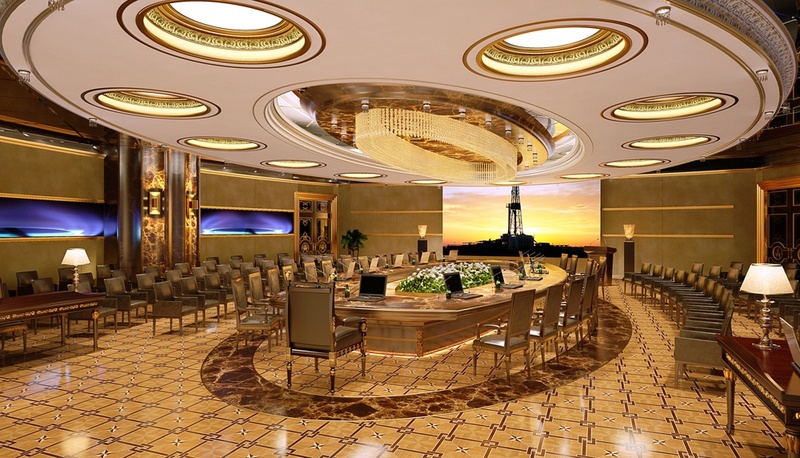 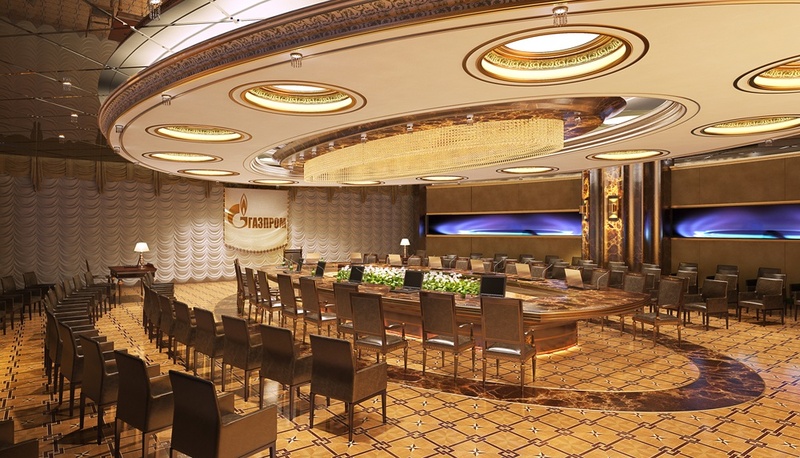 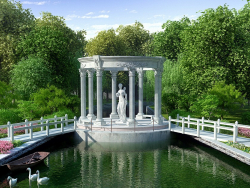 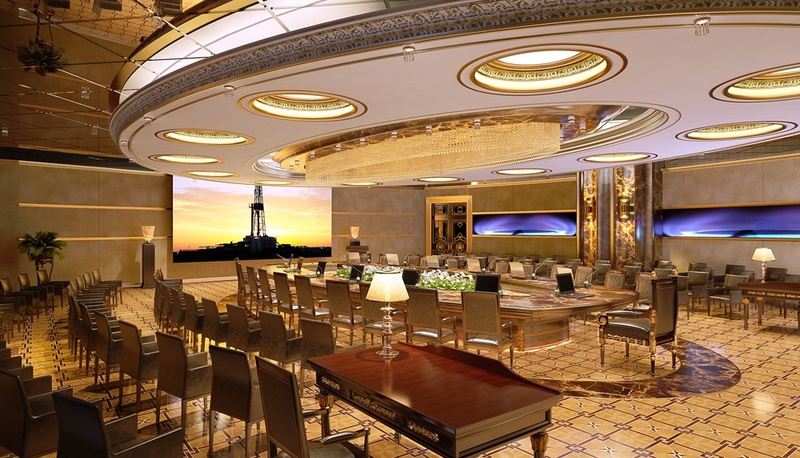 The negotiation zone for the company Gazprom, created in the classical style. 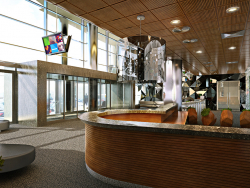 Reception and waiting area. 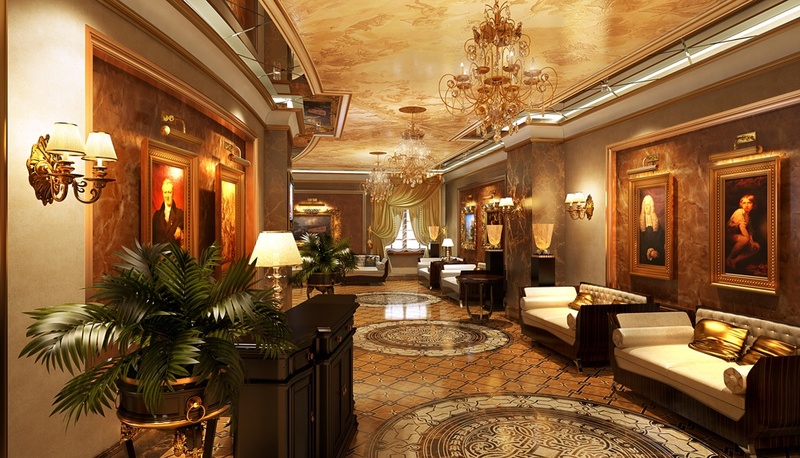 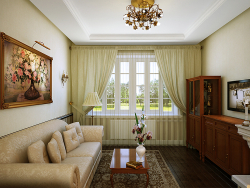 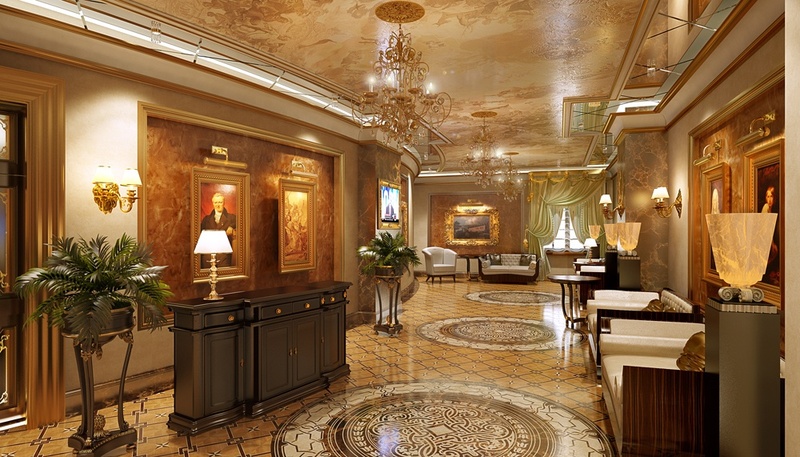 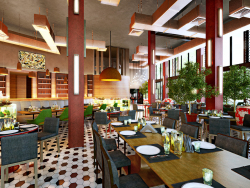 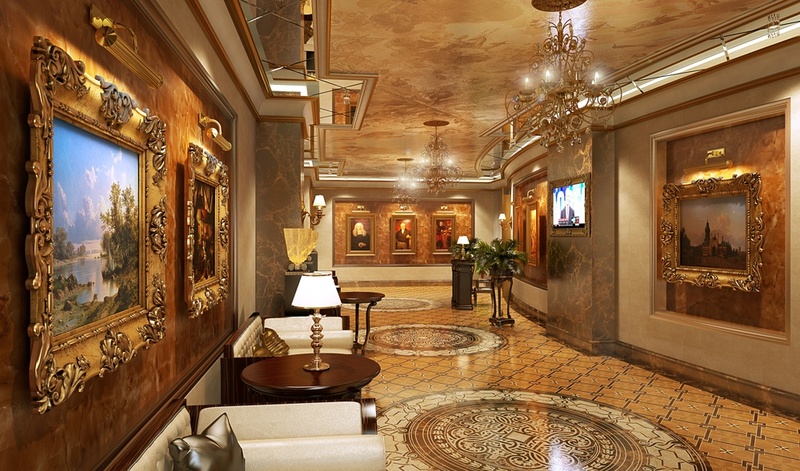 The abundance of gold, paintings, classic wall lamps and chandeliers, rich decoration.